Suresh’s mischievous humour and undaunted courage, in the face of a pain-filled and long battle with acute lymphoblastic leukemia, captivated the hearts of those that were graced by his smile. 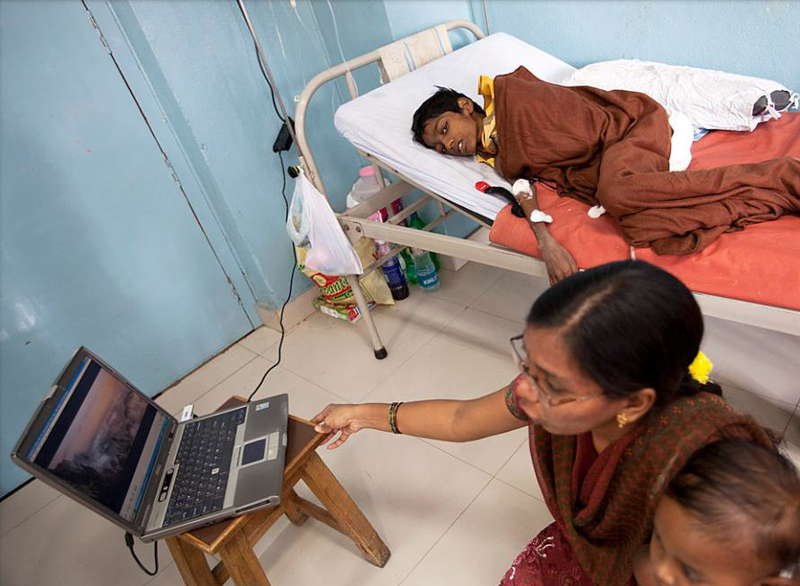 Leukemia is disease that in countries like Canada has a much higher survival rate — the odds are far less in India and other resource-challenged countries. 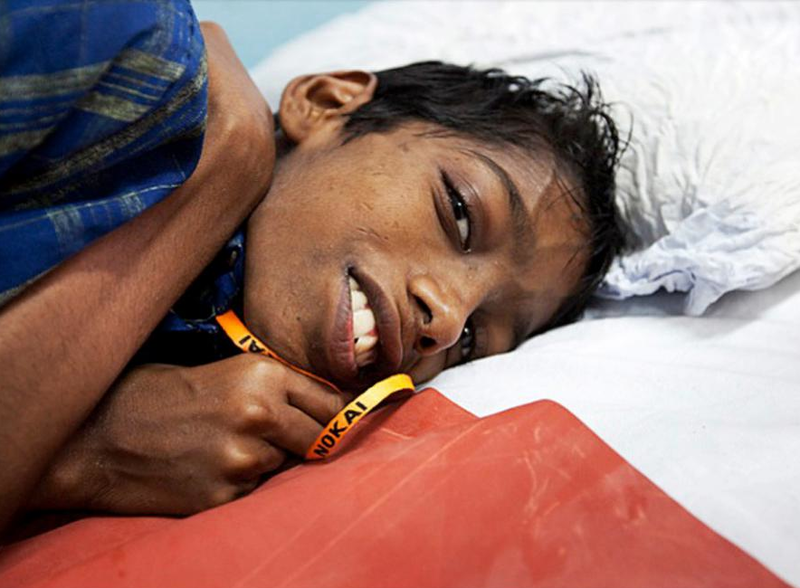 I first saw his smile from across the crowded beds of the pediatric ward at MNJ. It was a good day and Suresh wanted to photograph the Two Worlds Cancer Collaboration visitors — Canadian nurse educator Zahra Lalani and myself. A benefactor, who had also succumbed to his smile, had given him a digital camera. 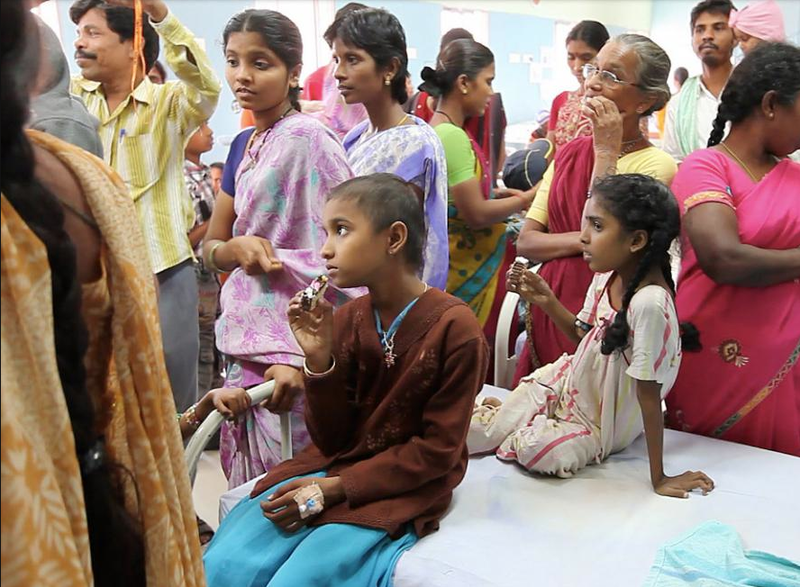 Suresh's photos were of his world — his surrogate family at the pediatric oncology ward at MNJ. It was the world he travelled to for treatment and palliative care. A trip the 12-year-old had taken for the first time at nine. A trip that took 24 hours from his village. A full day of travel by bus and train. A trip that he made each time alone — his family unable to afford to accompany him. It was watching him surrounded by his pediatric family that I realized his smile was an affirmation of the sign hanging in the outpatient department a floor below, “Not adding days to the life, but adding life to the days.” An affirmation of the care the staff of this over-crowded, under-resourced hospital provide for the patients in their care. 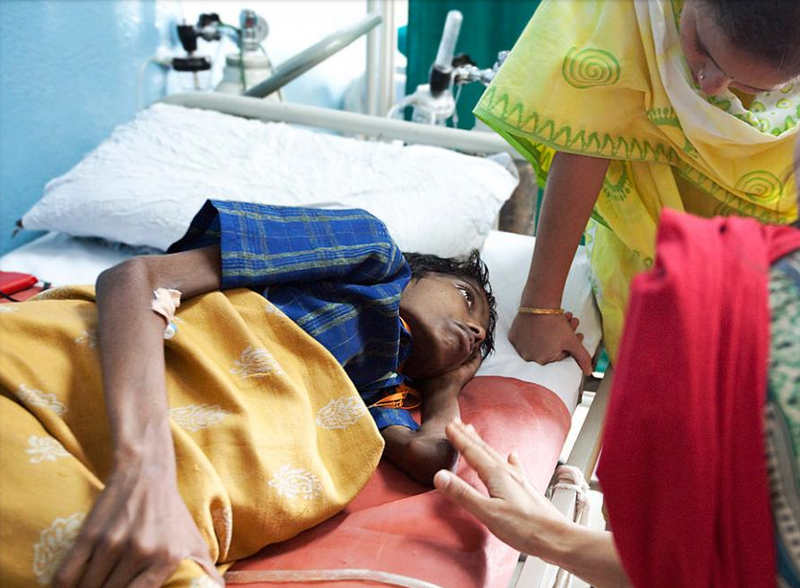 It was as I left the pediatric ward, fighting back tears after saying goodbye to the teenager with the undaunted belief in life, that I watched another little life — Manadee — learning to negotiate the steps hand-in-hand with MNJ volunteer Dr. Priya Kumari. Learning to take baby steps in a pediatric oncology ward that serves a catchment population of 75 million — baby steps indeed. In January at Suresh's request he returned to his village to be with his mother. Suresh's smile will remain with me forever — sadly he died in February 2011 with his mother at his village, but without the pain medication that his family could not afford. And without the care and compassion of his surrogate family at MNJ surrounding him. Dr. Gillian Fyles, returned to MNJ in 2011 for her fourth visit as a visiting faculty member providing workshops in Palliative Care and Pain and Symptom Management — subjects not currently on the curriculum in India's nursing and medical schools. Nurse Educator Zahra Lalani also returned to MNJ to continue the mentorship of the pediatric nursing staff that she initiated the year before.